>> Subscribe here to stay informed and get the full Agrarian Trust newsletter. We’re excited to share some great news with you on our hiring efforts to grow our organization and further our mission in 2018. First, we were delighted to welcome Elizabeth Spellman and Jamie Pottern to our team this month. Second, Ian McSweeney will be joining the staff as our Organizational Director, and our Interim Director Zoey Fink, will be staying on with us and moving to our Board of Directors. This growth now provides the organization with significant experience. Learn more about our team’s collective accomplishments, and please join us in welcoming our three new staff members. Elizabeth is an advocate for small farm communities and rural livelihoods. 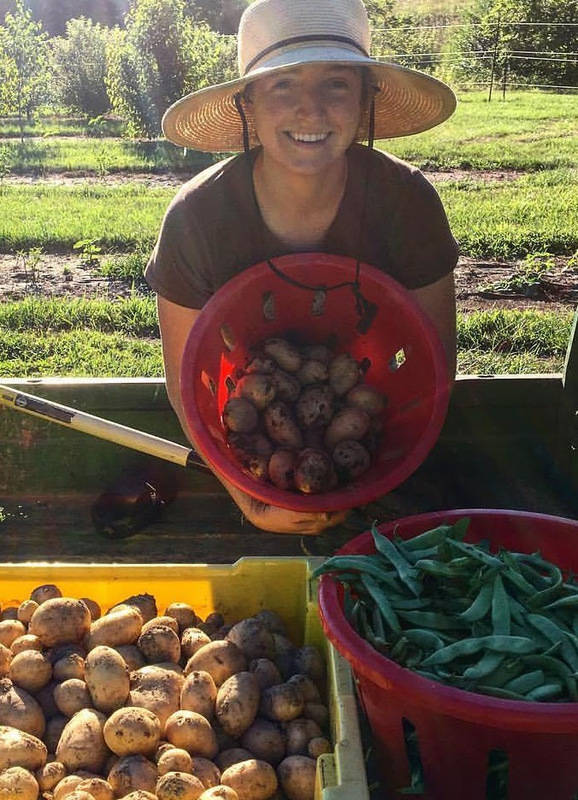 Her broad perspective, developed through work from West Virginia to the San Joaquin Valley of California, stems from her faith in food systems as a catalyst for justice, health, and a new economy. She and her partner own a diversified farm in the Sinking Creek Valley of Virginia, Singing Spring Farm, where they are also building a home. She works on a range of farmer-focused and food access projects with nonprofits and social enterprises in Appalachia and the mid-Atlantic. Elizabeth is also on the Administrative Council of Northeast SARE and serves on the boards of Sprouting Farms, West Virginia’s first farm incubator, and InStill Mindfulness of Virginia. Elizabeth holds bachelor degrees from the University of Virginia and a J.D. from Vermont Law School. She’s thrilled to join the team and bring her organizing, legal, and farming perspectives to our work as our Community, Farm & Operations Director. Jamie is a land conservationist, food systems practitioner, and community organizer. She brings a wealth of knowledge of farmland conservation and land access strategies to Agrarian Trust to help create and operationalize structures of our national land access mission, vision, and program. She is excited to build off of her five years managing the Farm Conservation Program at the Land Trust Alliance-accredited Mount Grace Land Conservation Trust where she continues to protect working farms and forests across north central and western Massachusetts, focusing on innovative mechanisms that address farmland affordability, housing, and farmland transfer to the next generation. Jamie is dedicated to building organizations that amplify the voices and needs of people of color and indigenous communities, acknowledge the history of and racial and economic injustice around land issues, and work to enact reparations through relationship building and creative redistribution of land and wealth. Jamie holds a Masters in Sustainable Landscape Planning & Design from the Conway School of Landscape Design and a B.A. from Brandeis University in Environmental Studies and International & Global Studies. 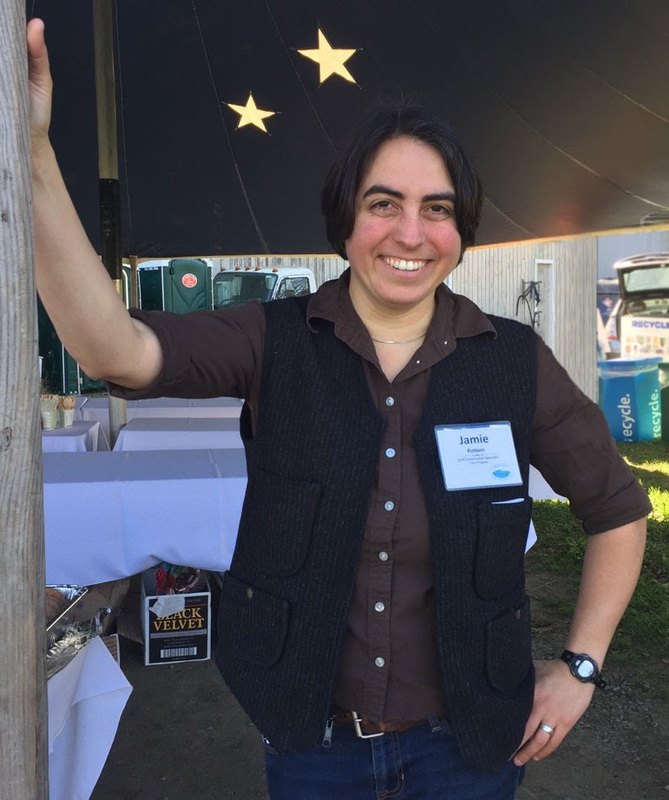 Jamie brings both her tremendous skills and deep commitments to family farms and anti-racism work to Agrarian Trust as our Land, Community & Education Director. Ian’s career and his life’s work has been focused on the human connection to soil and food. He first worked as a social worker focused on developing and operationalizing outdoor experience-based education programs and later sought more direct work with the connections to soil and food in real estate by founding a brokerage and consulting company to focus on prioritizing conservation, agriculture, and community within typical land development. Most recently, he served as Executive Director of the Russell Foundation, a private foundation focused on assisting landowners and farmers through customized approaches to farmland ownership, conservation, management and stewardship. During Ian’s tenure the Russell Foundation worked directly with 65 land conservation groups, 40 townships, and local, state and federal partners to assist 60 farms, complete 28 lease and/or management agreements and complete more than 100 farmland focused projects protecting over 12,000 acres and raising over $16,000,000, all aimed towards providing benefits to farmland, farmers, communities, and the local agrarian economy. Ian has also participated in many farmland and food systems initiatives and has served as a consultant to a number of organizations locally, regionally and nationally. He has served on zoning, conservation, planning and agricultural Boards and Commissions, County Conservation Districts, Regional Planning Commissions, and a University Extension Coverts Program. Additionally, Ian speaks on farmland transfer, conservation, secure tenure, and fundraising models around the country. Ian has been recognized as a 40 under 40 leader in NH and selected for the Leadership Institute at Food Solutions New England. Ian and his wife Liz protected their own small NH farm with a conservation easement, manage their forest as a Certified Tree Farm, lease their farmland to a Certified Natural vegetable grower, keep bees, manage habitat with a deep ecological focus, and spend as much time as possible with their two young boys, Dylan and Bridger. Ian is deeply passionate and committed to bring about innovation to evolve farmland conservation work to holistically address equitable, secure, and affordable ownership and tenure arrangements, farm viability, conservation, and community resilience to ensure regenerative diversified food production that benefits soil, human, and community health. 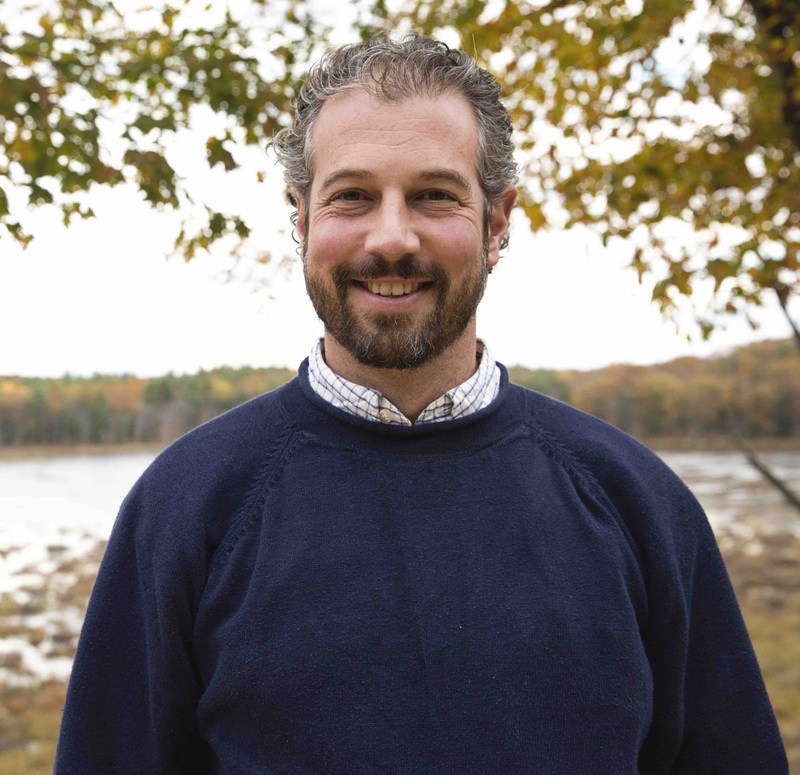 Ian recently founded Farmland Consulting LLC to Support Communities Through Farmland Preservation and is excited to lead Agrarian Trust as our Organizational Director. Throughout 2018, our team will continue building our capacity and creating the organizational structures necessary to take ownership of farmland and bring about a community financed farmland fund to hold farms and convey secure and equitable tenure to farmers focused on regenerative agriculture. Thank you for sharing our vision for a farmland commons; a national platform for land access resources; and a hub of learning and inquiry by land seekers and landowners. Please consider making a contribution to support Agrarian Trust in 2018, and don’t forget to subscribe here!